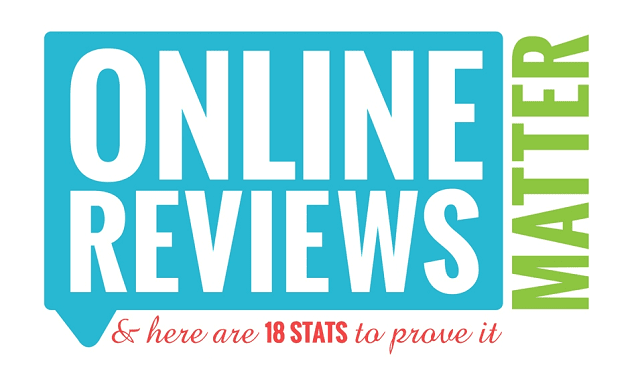 Online Reviews Matter – And Here Are 18 Stats To Prove It #Infographic ~ Visualistan '+g+"
When making a purchase, whether in a retail store or online, how do you ultimately make your decision? Do you lean towards a brand you already know and trust? Or do you choose the product with the lowest price; or that your favorite celebrity uses? These factors certainly have an impact on consumer behavior, but one of the largest (and often forgotten) influencers is online reviews. In fact, nearly 9 out of 10 consumers consider online reviews when making a purchase. This astounding statistic means that it’s more important than ever to make sure that your customers are not only leaving reviews for you in the first place, but that you’re aware of and responsive towards the less-than-favorable ones.